Trust you are having a relaxing time between Christmas and the beginning of 2019! 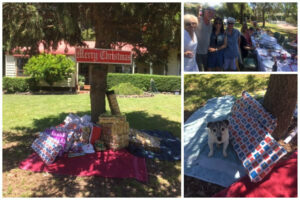 What can I say but that I truly made the most of December which started out with our annual Lifeforce retreat this year at the Dandenong’s on the first weekend of the month. Our newest product Vital Spark was launched and I have been trialling it for nearly a month now! As an addition to Body Balance, Vital Spark is what’s referred to as ‘baseline nutrition’, so something to drink on a daily basis. 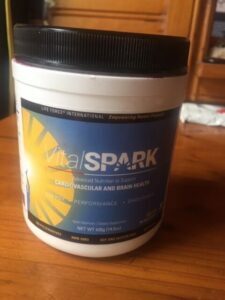 Vital Spark has been designed especially for cardiovascular and brain health. It is Anti- inflammatory, supports anti- aging, and maintains healthy blood pressure and blood vessel health. It is especially great for endurance and support with exercise. I can honestly say that I have been walking longer, swimming effortlessly doing more strokes than ever and feeling happier, energised and alert each day and sleeping well without waking! I seem to want to eat less too as somehow, I am satisfied. I will find out what it is in the product that allows for this and let you know in the coming newsletters. You should be able to order Vital Spark in February, perhaps even earlier. Don’t worry, I will give you the heads up when it’s available! Meanwhile just keep swigging Body Balance! If you are depleted in trace minerals, you will feel the effects in the same way. Just as Vital Spark is taking me to another level in health, Body Balance will do the same for you! Honour your body and it will be grateful and serve you well! 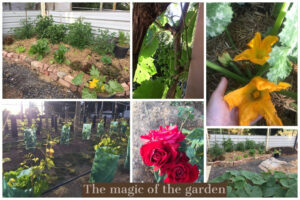 The next couple of weeks in December saw our veggies growing in leaps and bounds!! We are no longer buying lettuce from the shops as we have rocket and four other varieties that keep on keeping on! The tomatoes are green and prolific and the zucchinis and pumpkins are flowering!! All very exciting!! I now know the difference between a male and female zucchini flower!!! I just planted Broccoli and Cauliflower a couple of weeks ago too. The monarch butterflies are everywhere, bees are pollinating and the farm has been teeming with life!!! 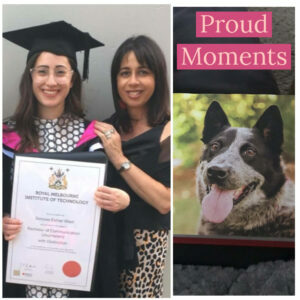 Then my daughter Simi graduated from Journalism which was a proud mama day for me and a great milestone for her! My older daughter Alana and her partner Elliot had their rescue dog Nellie, feature in a new coffee table book! I have placed a request for a copy! We bought a new tractor, Mark and his dad built a state-of-the-art shearing shed within 2 weeks, sheep were shorn two days ago and I was initiated as a ‘roustabout ‘, sweeping the wool and sorting the bits and pieces! (So much for my swearing that I would never do sheep!!!) A fun day had by all involved and Mark even said I sported a natural glow! Not to mention a wonderful Christmas day on the farm, a garden party where family came together, each contributing a dish, that left us in food coma by the end of the evening! A few even slept over as we partied into the night! So now as we are about to enter a NEW year, I want to express my gratitude to you all for sticking around, reading my newsletters, trusting me and the Lifeforce product line and for inspiring me to write about the shenanigans that go with this chosen country life! I will share with you what I have been doing for many years on New Year’s Day. Inspired by Brandon Bays, who wrote the book, The Journey (I am also a Journey Practitioner), I take a journal and I vision quest. I ask two questions, stay quiet after each one and write, stream of consciousness style. 1) What am I most grateful for? (I write and write and write everything I am grateful for in my life, pages and pages!!! This is a great way for me to bring in the New Year and as it has been said before, take one step towards grace, your health, your wellbeing, your dreams AND it will take a thousand steps towards you!!! 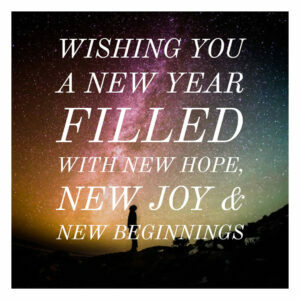 Have a relaxing last few days of 2018 and may 2019 shower you all in blessings, great health, love, joy, fun and abundance in all areas of your lives!